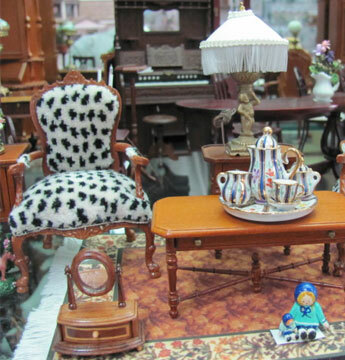 Discover new furniture, accessories, and decorative accents for your miniature collection at My Doll's House, located in Old Downtown Torrance, just southwest of Los Angeles, California. Our store features many one-of-a-kind items made by local and international artisans, as well as several heirloom-quality dollhouses. The vast array of collectibles and miniatures in the store has made My Doll's House a favorite among miniature collectors and enthusiasts. 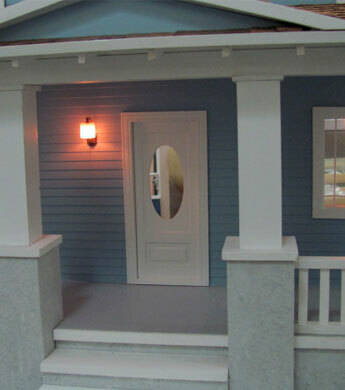 When you buy a dollhouse kit from My Doll's House, you can be assured of the quality of your purchase, which is backed by more than 25 years of personal experience. We can also offer expert advice, as well as tips and techniques to build and customize your dollhouse. We offer pre-finished, custom-built dollhouses and dollhouse kits that are ready-to-build, including many popular kits from Real Good Toys. If you already have your dollhouse constructed, we can help you customize every room with our individual miniature room boxes, which are available in various sizes. In our store, you will find all the tools and supplies necessary for building your dollhouse, including the original Easy Cutter from Midwest Products and Weldbond glue. The wood department is fully stocked with a huge assortment of doors, windows, mouldings, shingles, and hardwoods if you would like to customize your structure or create your own hand-laid flooring. We carry all the electrical components, fixtures, and lighting to brighten up your dollhouse, including Cit-Kit and Clare-Bell Brass Works. Choose from the many beautiful wallpaper patterns in stock to decorate interior walls and ceilings. Our furniture selection includes Bespaq miniatures and many original artisan hand crafted pieces. We also have an impressive selection of household accessories, including everything from crocheted beddings and rugs to dishes and flatware. Stop by our store today to pick out your favorite specially crafted pieces to create the perfect details in your dollhouse. Before purchasing your kit, plan accordingly. Paint, glue, curtains, and any landscaping or furnishings are not included. Also, gingerbread, if used, and trim strips are supplied in easy-to-cut lengths. As you prepare to submit your order, please note that all dimensions listed on this website indicate the overall dimensions of each dollhouse, including items that protrude, such as porches and roof cresting. Prior to construction, be aware that adult supervision is recommended for children under the age of 13. All prices and products are subject to change without notice.